For many from the older generations, they know what it means to be poor. Those days, money was hard to come by and many lived from hand to mouth. There was hardly enough money to make ends meet and every cents were accounted for. Money tracking was never a problem because there was so little money and we knew where every cent went. But this is a different story for the present young generation. Life for our present young generation has been much easier and many need not have to worry about money. They have more than enough to spend without worrying about where the money comes from. All they know is that their parents will provide for them. Of course, these young people are not to be blamed for spending their parents’ money freely or extravagantly. These parents tend to be overly generous because they want the best for their children what they themselves could not enjoy in their young days. Once these young people go out to work for their own living, they find that they have problem managing their finance. They have been so used to spending freely without learning to budget and I am sure many have learned the hard way. I may be wrong but in my personal opinion, those who have gone through the struggle and later learned the importance of budgeting, they are the ones that designed the best money management app. We are so fortunate to have so many types of money management apps to help us manage our money. To make sure that you are spending on things that need your urgent attention first. If you don’t know where your money goes, then you will not be able to save for your goals. By tracking your spending, you will be able to see your weak spending habits and avoid them. It will also makes you aware of your current bank balance and keep you from over spending. It also gives you control over your finance and expenses. 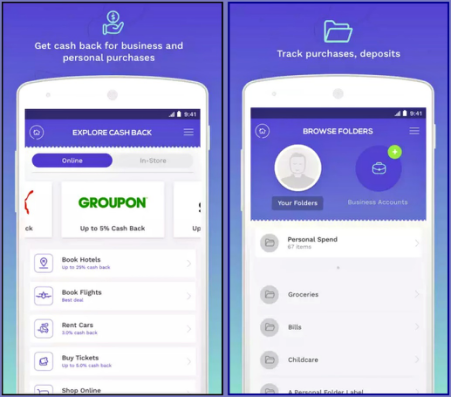 Downloading one of the free cash back apps not only keeps track of your money and act as your money manager, you will also get to earn cash back through your purchases. If is never too late to learn to budget with the help of a money tracking app.